Robert Doty is a municipal bonds litigation consultant and municipal bonds expert witness. He became involved in litigation consulting and municipal bonds expert witness work 30 years ago when he began receiving calls from counsel involved in litigation relating to municipal bonds. Counsel heard of him by word of mouth, and he states that the reputation-based form of contact continues to be the primary way he obtains business. 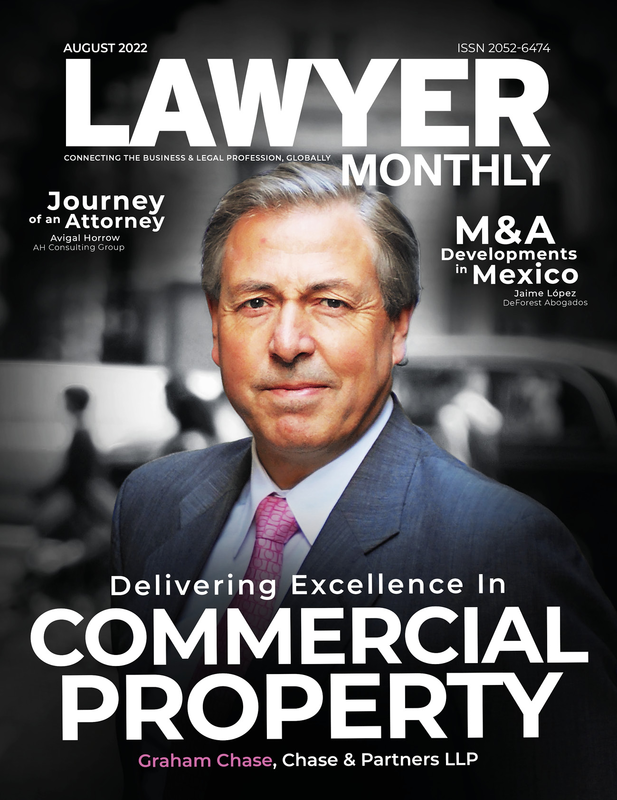 He discusses with us this month his experience in the municipal bond field and his work as an Expert Witness. What is your consulting experience? I have worked in approximately 150 litigation matters and have testified at depositions and at trial approximately 80 times. Not all of the matters in which I am retained lead to expert witness consulting. What is your municipal securities market experience? I became involved actively in the municipal bond market in the early 1970s when I was asked by a municipal bond counsel firm to research how the securities laws apply to municipal bonds. By that time, I had already been involved in the corporate securities market for several years. My active involvement in the finance industry extended for more than 45 years. Over my municipal bond market career, I served as General Counsel to the Government Finance Officers Association, and as a municipal bond counsel, underwriter’s counsel, counsel to issuers, investors, private borrowers, and trustees, an investment banker, special consultant to underwriters, and financial adviser to municipal bond issuers. I have worked in billions of dollars of successful transactions in municipal bond offerings, workouts of defaulted and other troubled municipal bond issues conducted by others, and corporate finance transactions benefiting local governments and private corporations in approximately two dozen states. Have you worked with groups active in the municipal bond market? I have been an active member of national associations of municipal bond issuers, investors, counsel and financial advisers. I speak several times a year on municipal bond matters. I also have participated actively with national task forces and committees preparing authoritative municipal bond market disclosure and due diligence guidance for issuers, counsel, investors and others involved in municipal bond transactions. Additionally, I have served as an officer of associations of investors, financial advisors, and committees of municipal bond counsel. The National Federation of Municipal Analysts honoured me with its Municipal Industry Contribution Award, and the International Municipal Lawyers Association gave me its Most Outstanding Associate Member Award. Have you published books or articles on municipal bonds? I have published several books on municipal bonds, including most recently, the Bloomberg Visual Guide to Municipal Bonds (John Wiley & Sons and Bloomberg Press, 2012), Municipal Securities Law & Practice: Regulation, Disclosure and Enforcement, 212 Securities Practice Series (Bloomberg BNA 2014), and Expanding Municipal Securities Enforcement: Profound Changes for Issuers and Officials (International Municipal Lawyers Association, 2016). Altogether, I have authored and co-authored more than 80 articles on municipal bonds, including seminal works dating back to the 1970s, on securities law application to municipal bond transactions and articles on fiduciary duties of certain professionals. Who are your clients? How much of your work is on the plaintiff and defence sides? Enforcement work? My clients are the legal counsel who retain me. I do not accept retention by, and do not provide advice to, counsels’ clients. To date, approximately two-thirds of the matters in which I have been engaged were on the plaintiffs’ side and one-third on the defence side, although in recent years, I have been retained by a number of defence counsel. In the case of federal enforcement work, my retentions have been split approximately evenly between plaintiff and defence counsel. Initially, I generally serve first in a consulting capacity with counsel. In that role, I provide information regarding the municipal bond market. Most often, because the municipal bond market is rather obscure for most people, counsel want to learn about it. I have found, especially on the defence side, that by working closely with counsel, I am able to assist by making suggestions concerning organisation of evidence that will demonstrate the counsel’s case more effectively. Some counsel, being unfamiliar with municipal securities practices, do not always know the best questions to ask. With respect to expert witness work, there are times when I am unable to provide opinions that are asked of me. Sometimes, with my feedback, counsel may be able to ask me somewhat different questions. Sometimes, I must decline to accept the work because the opinions the counsel is seeking do not coincide with my own perspectives. How do you decide whether to accept engagements? I decide on accepting engagements according to the questions that counsel ask me and whether I am able to provide accurate answers. I do not feel compelled to accept every matter. Counsel decide whether my answers assist their cases, but that does not drive my opinions. How do you arrive at your expert opinions? My responsibility is to be accurate. I spend considerable time becoming familiar with the facts involved in the litigation. I carefully review transcripts of depositions and the exhibits. I pay substantial attention to the municipal securities industry guidance published by professional organisations and also research regulations and authoritative books and other literature as a way to double-check, and demonstrate substantive support for my opinions. It is not unusual for my opinions to evolve, in the sense of becoming more refined, as I conduct this research. I will staunchly defend those opinions. My fees are strictly non-contingent hourly fees. I am paid regardless of whether counsel like or do not like my opinions. Since I take the time to be careful and detailed in my work, my fees can be higher than fees charged by some others in my field. In the end, however, I must know that I have done my best. What are common cases and disputes that arise in your field? Many disputes are focused on whether municipal bond issuers have made materially accurate and complete disclosure to investors. The materiality concept is defined by the courts. Other cases consider whether underwriters have conducted appropriate investigations of the issuers’ disclosures, commonly called due diligence. Still other cases relate to questions of whether counsel have provided appropriate advice in offerings or other professionals, such as financial, and other municipal, advisers, have fulfilled their fiduciary duties. Yet, other cases relate to compliance with regulatory requirements. How does municipal bond market practice and law differ from the corporate securities market? The municipal bond market is regulated in a very different manner from the corporate securities market. That makes understanding the municipal bond market more difficult, even for counsel accustomed to corporate securities regulation. Municipal bond offerings generally are not subject to the requirement of registration with the SEC. Issuers are not subject to the same periodic reporting requirements. Instead, the SEC has devised an indirect form of regulation by imposing restrictions on municipal bond underwriters. The restrictions prohibit underwriters from underwriting most municipal bond offerings, unless the issuers provide a disclosure document called an “official statement” and the issuers agree to make continuing annual and specific event disclosures. Enforcement, rather than SEC pre-offering guidance, is much more important. How has municipal securities law and practice changed over your career? Regulation has become much more complex, enforcement far more intense, and professionals significantly more conscientious. Do you think any of these cases could be avoided, and if so, how? Yes. If some market professionals would pay closer attention to regulations and available industry guidance, they would be better served. Fortunately, most professionals are quite careful in their work. What are the common misconceptions that non-experts have in relation to your field? Some non-professionals believe that expert witnesses essentially will provide any opinion that counsel ask. I take great pride in being thorough and careful in forming my opinions. Mr. Doty, President and Proprietor of AGFS, participated for more than 45 years in billions of dollars of successful transactions in municipal bonds, municipal securities offerings, workouts of defaulted and other troubled municipal bond issues conducted by others, and corporate finance transactions benefiting local governments and private corporations in approximately two dozen states across the nation. Mr. Doty continues to serve as consultant to, and municipal bond expert witness on municipal finance in consultation with, legal counsel to municipal securities issuers, underwriters, municipal advisors, bond counsel, trustees, investors and governmental agencies. Through AGFS, Mr. Doty provides municipal bond expert witness, litigation consulting, and forensic analysis services to counsel relating to state and local government securities and transactions in municipal bonds.